First, I am an advocate of an anime counting in the season in which it completed. Meaning, whether it is fantastic or not, an anime like Mahoutsukai no Yome has no place in this list. However, it does have a shot for next season’s list. On the opposite end, an anime that ended in Fall 2017 does have a shot since it concluded in this season despite starting the season (or seasons) prior. Something like Fate/Apocrypha counts since, despite starting in Summer 2017, it concluded in this season. Second, the selection process is pretty straightforward, using only three factors. I start by comparing the baseline scores I initially handed out. If a tie occurs, I take into account the more specific scoring I do behind-the-scenes. If another tie occurs, it then comes down to the total level of enjoyment I got out of the anime themselves. Nothing fancy, but the result is a list that fully and accurately represents my feelings on the season as a whole. Third, each anime has a personalized review that demonstrates why it deserves to be here in the first place. Simply click on an anime’s name to be linked to its review to read my complete thoughts on it. For every review that I wrote for this season, follow this link to my Fall 2017 Reviews page! 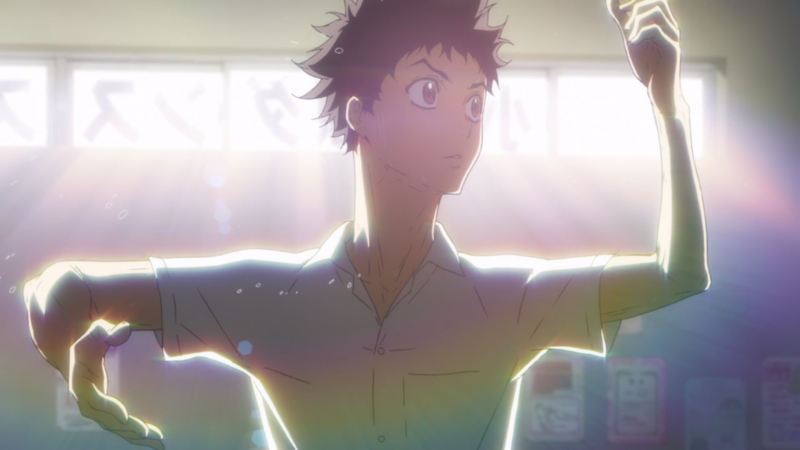 With all of the introductions, formalities, and rules out of the way, it is time to get to my Top 5 Fall 2017 Anime! 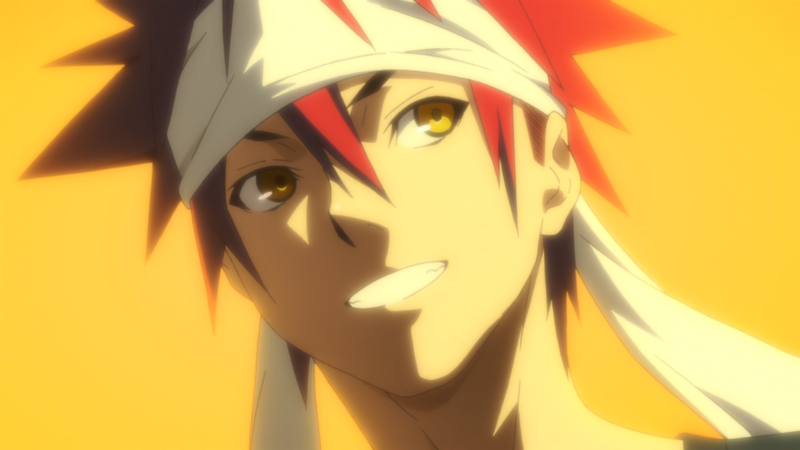 The frying pan heats up once again in Shokugeki no Souma: San no Sara. The third season (and first cour) in this ever-popular cooking series still does not match the temperature of its first season, and the artistry has begun to decline to a noticeable degree. Nevertheless, it still remains a fun outing as it returns-to-form with its duels and its penchant for interactions between the characters. Bringing important veterans to the forefront and introducing newer antagonists to defeat also end up as a boon overall. And the musical side still has its allure. So, while the project is starting to lose its Michelin stars, it plates a hearty dinner anyway. 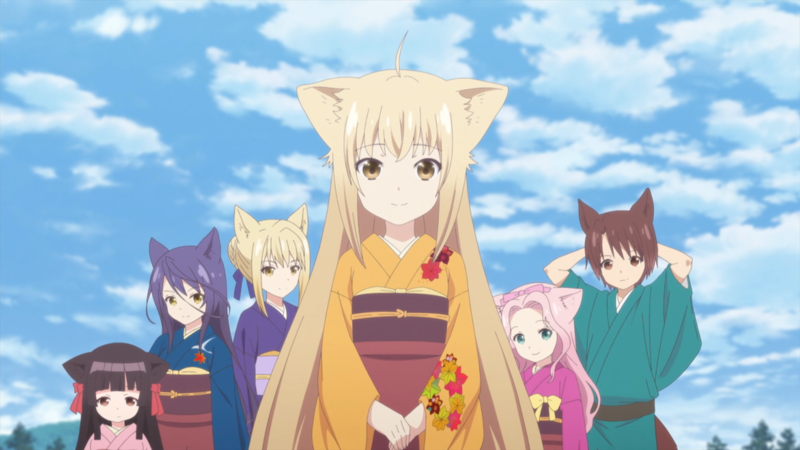 The caretakers of Konohanatei find their own respite in Konohana Kitan, an iyashikei anime that heals the soul through the gentle use of supernatural phenomena and a generally wholesome direction. Yuzu and the others lighten the mood further with extra silliness, yet they do not let it detract from the messages delivered. The pretty art and the heartfelt music complement the show, too, ensuring that the presentation glides along on its thoughtfulness. It may not technically be the most amazing anime ever, but its consistent execution make its offer of rest and relaxation an easy one to accept. 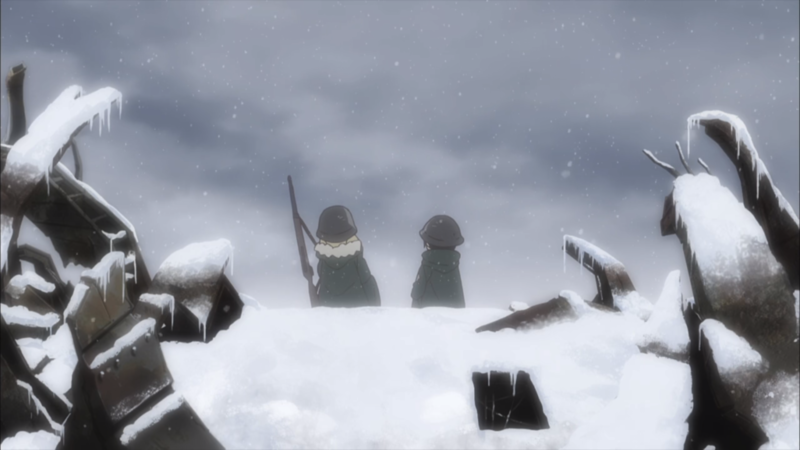 The world is basically dead and gone, but Chito and Yuuri do not let such a situation stop them in Shoujo Shuumatsu Ryokou. Their quaint adventure, fraught with peril and gloom, manifests as a worthwhile exploration into hidden happiness, the simple things in life, and the necessity for hope despite the odds so stacked against. Supported by majestic artistry and wonderful music events, the production values promise that the presentation never falters either. And with their question-and-answer duality, they expound further on humanistic ideas while fostering laughs along the way. In short, this trip is anything but “last”. 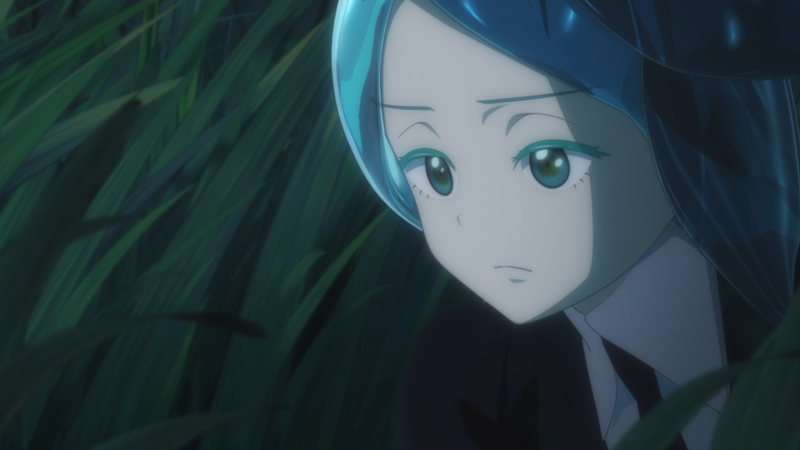 At the top of the mountain this season, Houseki no Kuni claims the summit with crystallized finesse. The strong philosophical themes, the awesome characters (which I explored in my essay, “Houseki no Kuni, Toy Story, and Understanding Characters”), and the beautiful music are a juggernaut. Then, its robust script and great voice-acting performances demonstrate its continued success. To top everything off, its CG artistic direction makes it a definitive landmark for the medium and elevates its status to that next level. It’s hilarious when it wants to be. It’s dramatic when it needs to be. 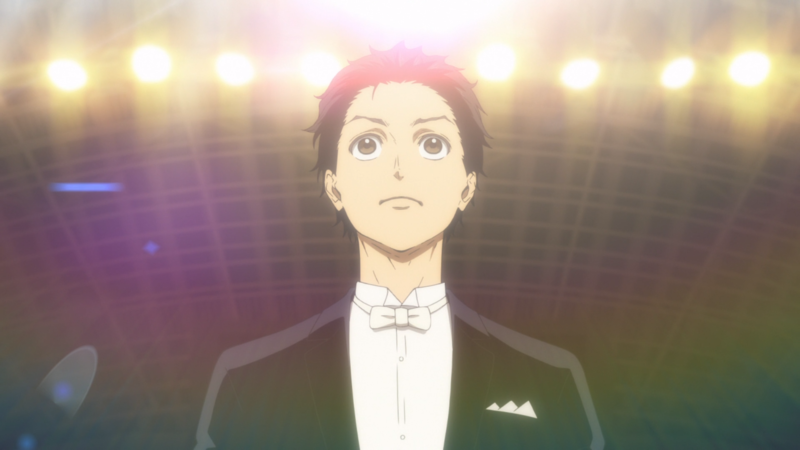 It’s the winner that receives the title of Best Anime of Fall 2017. And that’s it! As always, I wish to thank everyone in the anime community who has been following my writings and my reviews over the course of this semi-professional career of mine. Y’all make what I do possible; you make it a joy to continue putting my thoughts and my words on (digital) paper. Your support has never and will never go unnoticed.